This tribute tells Ireland (Black Roisin) not to be sad as our fellow Catholic nations of Spain and the Pope in Rome were providing support. The narrator is said to be Red Hugh O'Donnel. 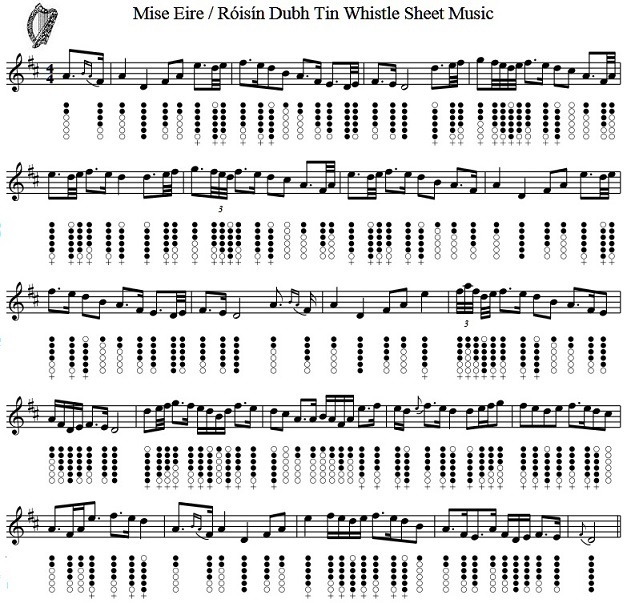 The popular patriotic tune was used by the Irish Composer Sean O' Riada for the main theme of his musical score for the epic Irish gaelic film Mise Erin, sometimes this tune is called ''Mise Eire or Black Rose. Red lightning lighten'd thro' my blood.